PROLOGUE – Following is a behind-the-scenes account of my recent short film on a fellow Son of Albany, Charles Leigh. He made history as the first player known to sign an NFL contract directly out of high school, before becoming part of the Miami Dolphins Dynasty of the 1970s. This summer I had the privilege of telling his story for NFL Films Presents. 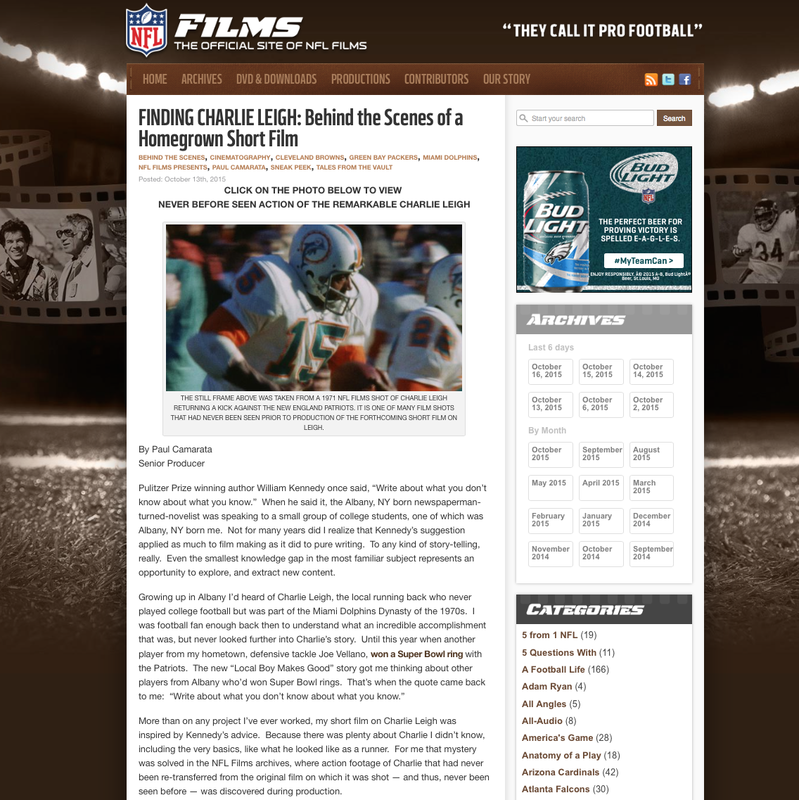 LOGUE – Below is the second part of the written story originally published on the NFL Films blog, “They Call it Pro Football.” To see the piece there, where it includes a slideshow of production photos and a link to a Charles Leigh highlight video consisting of footage discovered during the making of the film, click here. 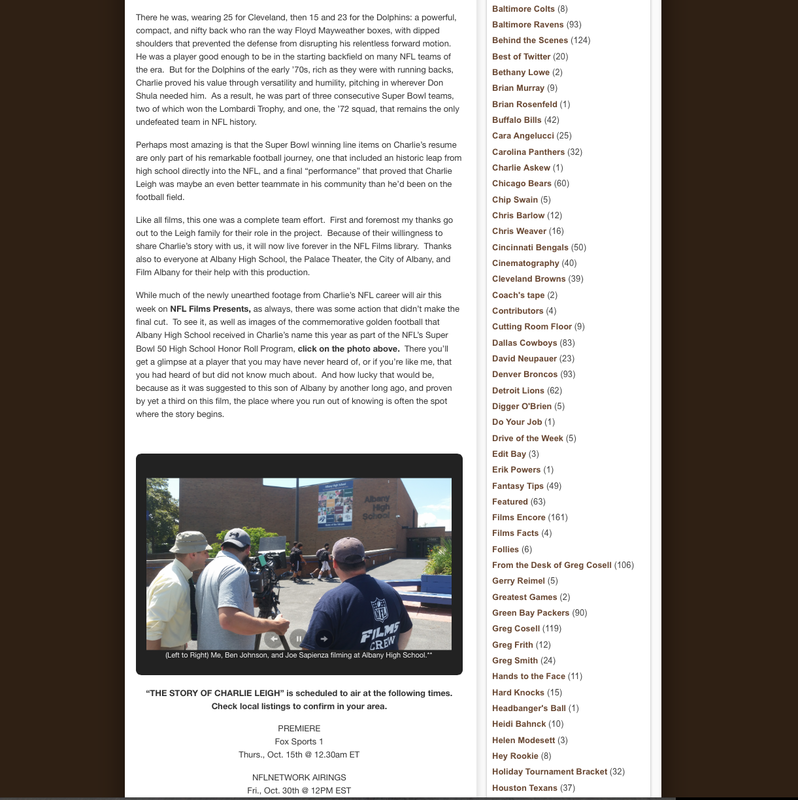 EPILOGUE – During our July, 2015 shoot in my hometown, I brought my Dad to work. Actually, I needed him to drive me to locations, so it’s probably more accurate to say that he brought me to work. Either way, it all felt somewhat prophetic come fall when I learned the Leigh feature, previewed in the Albany Times-Union, would premiere as part of an episode titled “Fathers and Sons”.